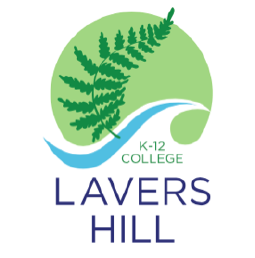 Lavers Hill College has been engaging students from Grades K-10 actively in meaningful, relevant 21st Century music-making over the past 12 years. 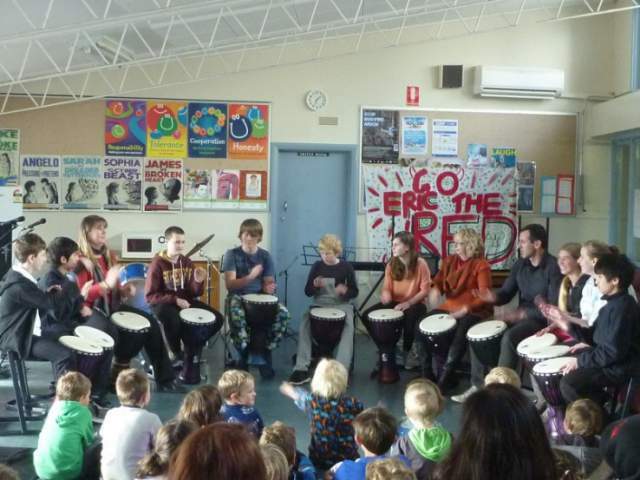 Our vision is to engage and connect students with music-making no matter what their age or year level, develop their musical skills and give them a musical appreciation for life. We believe that all children should have the opportunity to learn music at school in a fun, personal, engaging and relevant way and we endeavour to provide this for the students in our community. Students are at the centre of our program and play a major part in the decision making – i.e. grouping, instruments, genres and individual learning foci. The teacher is the coach or facilitator rather than the source of all knowledge and is not the centre of the classroom. She often works with up to 11 different individuals in any class/lesson on up to four different instruments and vocals depending on the student learning tasks and student goals, which all vary from student to student and class to class. We offer a large range of private instrumental lessons to complement our Musical classroom approach, with the vast majority of students opting to learn contemporary instruments such as keyboard/piano, guitar, bass, drums and vocals both in class and individually. We also offer woodwind and brass instruction all free of charge only a small fee for instrumental hire is required. 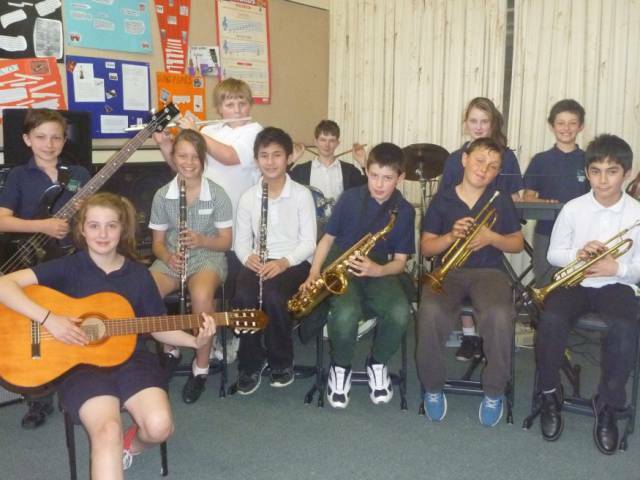 Students work in the music room as duos, individuals and bands to develop their skills, rehearse and seek extra support from the music teacher.